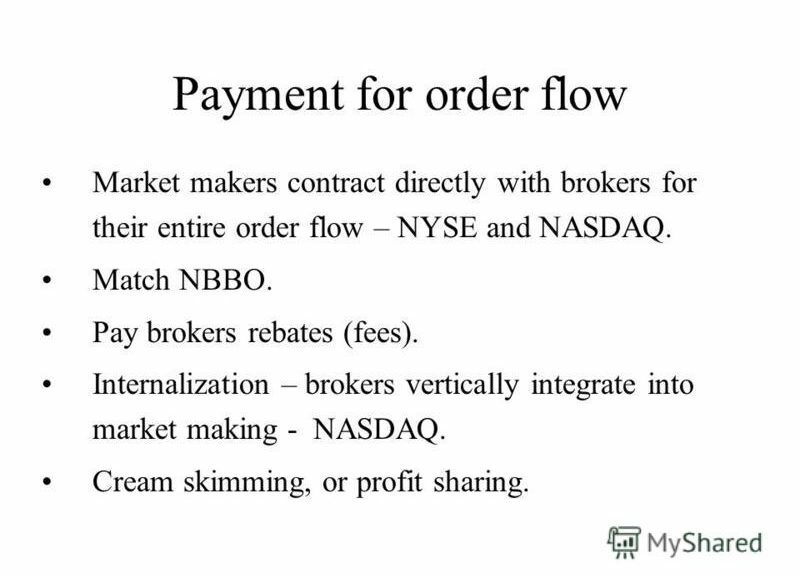 Broker Rebates, Payment-for-Order-Flow (“PFOF”) and “Pay-to-Play” have become synonymous with new world order in which exchanges, dark-pool operators and high-frequency trading (“HFT”) firms, (the so-called “flashboys”) dominate the world of stock trading. While many Wall Street geniuses will argue “the genie is out of the bottle”, it doesn’t mean this practice is right-minded, no less legal-and it hasn’t stopped naysayers from arguing that customers’ best interests are clearly not part of the equation. A Federal judge in Nebraska seems to agree, based on his ruling last week that allows a class action lawsuit aimed at TD Ameritrade in connection with their receiving payment-for-order-flow rebates from high-frequency trading (“HFT”) (and not even sharing those rebates with customers!) to proceed. The plaintiff argument is that TD has violated best execution guidelines. Should anyone be shocked?! After all, the topic of payment-for-order-flow and barely-disclosed rebates paid to brokerages by exchanges and electronic market-making firms in consideration for routing orders to them has been a topic of spirited debate for more than several years. Mom-and-pop investors who think their brokers are prioritizing high-frequency traders over them may soon have a chance to try to prove their case in court. A federal judge in Nebraska this month ruled a class-action lawsuit could proceed against TD Ameritrade Holding Corp. AMTD -1.09% , one of the nation’s largest discount brokerages. In his ruling, the judge cited “serious and credible allegations of securities fraud” stemming from the company’s order routing practices. A spokeswoman for TD Ameritrade said the company disagrees with the judge and will appeal his ruling. Judge Joseph Bataillon’s ruling, delivered Sept. 14 in federal court in Omaha, Neb., marks the first time a court has allowed customers to pursue a class-action lawsuit on the grounds a retail brokerage breached its duty to provide best execution, according to the ruling and the plaintiffs’ attorneys. The decision comes at a time of growing focus on how brokerages handle customer orders. In its Oct. 2017 blueprint for streamlining financial regulations, the U.S. Treasury Department said it is concerned payments to brokerages “may create misaligned incentives” for brokers and their customers. It urged the Securities and Exchange Commission to boost regulation of such payments and require more disclosure. In March, the SEC proposed a study that would impose temporary restrictions on stock exchanges’ fee and rebate payments and measure the impact on order routing behavior and trade execution quality. On Wednesday, an SEC commissioner called on the agency to move ahead with the study and faulted it for not doing more to ensure transparency and fairness in the stock market. Keep reading, the story is only going to get better, but not necessarily for brokers. Then again, the current SEC leadership is likely to put their own dog in the game, given their views toward re-defining the concept of fiduciary within the context of broker-dealer guidelines. If you’ve got a hot insider tip, a bright idea, or if you’d like to get visibility for your brand through MarketsMuse via subliminal content marketing, advertorial, blatant shout-out, spotlight article, news release etc., please reach out to our Senior Editor via cmo@marketsmuse.com. Alpha Trading Labs, the Chicagoland fintech “crowd sourcing startup” has thrown the gauntlet down and threatens to democratize the sacred world of HFT wonks, those hoodie-wearing quant jocks who occupy $1mil per yr cubicles at high-frequency trading firms like Virtu, Citadel, Jones Trading, Hudson Trading, and Two Sigma (among others). You know who mean, those cool kid computer wizards who make their bosses billions (or at least tens of dozens of millions) using computer-generated trading schemes. That’s right, Matilda (and you Mark, Mary, Max, Moshe, Mel, and Melissa) and everyone else who aspires to be a Flashboy (or Flashgirl), can jump into the fray thanks to serial fintech entrepreneur Max Nussbaumer. 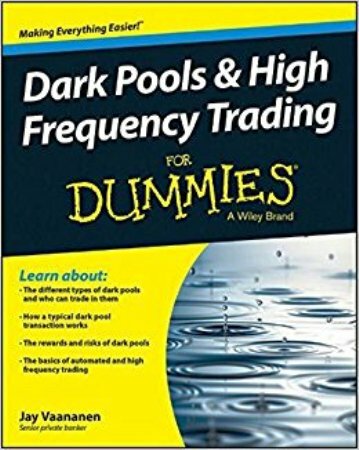 While the criteria to be accepted into the new program sponsored by fintech startup Alpha Trading Labs is not nearly as simple “High Frequency Trading for Dummies“, if you’ve got a reasonable thesis as to trading strategy and are reasonably computer literate, each of you can become a quant jock now! 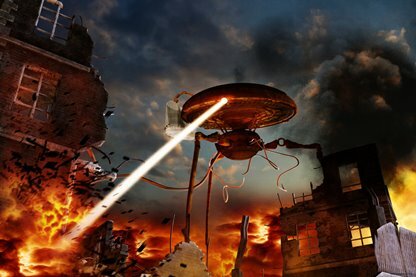 No more merely dreaming about having command and control of the same HFT weapons deployed by those ‘secretive prop trading firms’ that make fractions of pennies tens of thousands of times per day while trading cross the electronified world of stock, options and futures trading. Chicago-based Alpha Trading Labs says it will execute trades through computers housed in the data centers of Nasdaq Inc., the New York Stock Exchange and other markets, a practice known as “co-location.” For those not aware, HFT firms use co-location to execute trades without being slowed down by the need to transmit electronic signals over long distances. Alpha Trading Labs’ main investor is CMT Group , a firm founded by two veteran traders in 1997, with businesses that now run the gamut from high-speed trading to venture capital to real estate. It was an early investor in Dollar Shave Club, the razors-by-mail service acquired by Unilever PLC for $1 billion in 2016. The high-frequency arms race, aka “Battle Between Wall Street-style Transformers” has extended to trading in USTs and HFT firms are invading the US Treasury market, according to latest from BusinessInsider..
(BusinessInsider)-High-frequency traders have taken over the market for US Treasuries, and a bunch of market participants say they’re alarmed by the change. The US Treasury recently asked for public comments on changes to the largest government bond market in the world. The responses have been flooding in. The topic is a weighty one. The US government bond market makes up around 30% of the fixed income market, according to a letter from the Securities Industry and Financial Markets Association and American Bankers Association. The Treasury market is “the most important global benchmark for pricing and hedging spread asset classes and is a key transmission mechanism for US monetary policy,” they wrote. 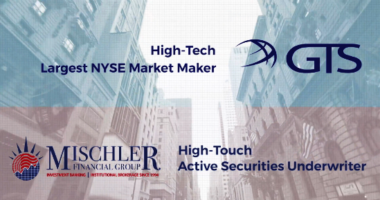 Several Wall Street players took the opportunity to get in a dig in over the growing role of principal trading firms and high-frequency specialists. The general consensus among this group is that regulation has discouraged Wall Street banks from making markets in US government bonds. While banks have pulled back, high-frequency trading firms have piled in and these firms are more flighty in times of stress. Why are primary dealers retreating from the US Treasury market? Participating in the US Treasury market no longer generates a profitable return on capital for those primary dealers that are subject to regulatory leverage ratios. Most primary dealers have been designated as G-SIBs (Global Systemically Important Banks). The lack of diversity in primary dealer membership means that regulation targeting the “too big to fail” problem has the unfortunate side effect of reducing liquidity in US Treasuries. These traditional sources of liquidity have a reduced capacity to warehouse risk, and therefore banks have to become more dynamic in their provision of liquidity. This has, in turn, led not only to a definitive, structural reduction in market depth but also increased sensitivity of liquidity provision to price volatility. New sources of liquidity, such as HFTs, are a potentially unstable and unpredictable source of liquidity in times of volatility. It’s worth remembering that Wall Street banks have an axe to grind here. They’ve seen revenues for the government bond trading business tank over the last five years. But it’s certainly true that the high-frequency traders are now much more active in this market, and some investors say they’re making life difficult. PTFs—or those conducting high-frequency trading tactics—have generally been an impediment within the Treasuries market. These firms generally impede dealers’ ability to provide liquidity to end users. In our opinion, suggestions that PTFs could eventually replace dealers are tenuous because most of these firms are less regulated than dealers, hold minimal amounts of capital, and the potential failure of one, or several, of these entities could contribute to widespread systemic risk. In September, Risk.net published a confidential list ranking the top 10 firms by volume traded on BrokerTec, an ICAP-owned trading platform for US Treasurys that is believed to make up 65% to 70% of interdealer market volumes. Eight of the top 10 firms on the platform were not banks, including KCG, Spire-X, XR Trading, DRW and Rigel Cove, according to the report. This research was highlighted by several of the respondents to the US Treasury report, who used it as evidence of the growing influence of principal trading firms. These firms trade in and out of markets at speed, usually in small sizes, and they don’t hold positions overnight. Some establishment players believe that these funds disappear when liquidity is needed most. With these changes in market structure has also emerged a class of market participants who largely remain outside of the current regulatory framework, and whose business models are fundamentally different than those of traditional, principal-based participants that used to be responsible for the majority of the volume in the market. The result can be higher volumes and lower trade sizes. However, while these participants are responsible for increases in volumes, this does not mean that such participants are establishing and holding positions or willing to meaningfully provide liquidity during stress events. These factors tend to exacerbate volatility in rapidly changing markets, even absent fundamental catalysts. While the arms race for speed is in the best interest of any individual trading firm, Citi agrees that it is not in the best interest of the overall market. Arguably, it worsens liquidity and social welfare with no benefit to the investor or end user, while potentially advantaging firms with larger technology budgets. Not everyone is so concerned. Some of the respondents were keen to point out, for example, that trading continued during the US Treasury Flash Crash in October 2014, and that the proliferation of high-speed traders in the US Treasury market was nothing to worry about. You can read what they all of the respondents had to say here. The electronic exchange playing field is not for boy scouts. All is fair in love and war. That’s the message NYSE is sending to upstart “Investors Exchange” aka IEX, as the world’s most formidable financial market trading platform is simultaneously lobbying SEC regulators to block IEX’s application to be designated as a full blown exchange because its speed bump technology slows down important liquidity providers from the HFT world, and at the same time, ICE-controlled NYSE Group is picking the pockets and hijacking IEX’s most compelling order technology for its own use. IEX, which developed a new discretionary peg order type known as “D-Reg” and designed to deliver even sharper pricing for those executing block trades is a secret sauce that purportedly delivers a noticeable $68k in savings on a typical $1bil portfolio execution strategy. Pennies perhaps, but pennies add up when being counted by both buy-side and sell-side commission revenue bean counters. And it’s the buyside who count the most, simply because they provide the fuel that feeds the Wall Street trade execution engine. The US Government Bond Market is set to explode…with more e-trading systems.. MarketsMuse Tech Talk continues its curating of fintech stories from the world of fixed income and today’s update is courtesy of WSJ’s Katy Burne, who does a superb job (as always) in summarizing the latest assortment of US Government bond “e-trading” initiatives. MarketsMuse editor note: The financial marketplace is now littered with electronic trading platforms ostensibly designed to enhance liquidity and address the needs of respective market participants. Despite the rising concern on the part of both institutional investors and regulators as to the impact of market fragmentation (the latter of whom are easily-cajoled by the phalanx of lobbyists and special interest groups), the Genie is not only out of the bottle, it’s reach continues…and the US Govt bond market is, according to those leading the initiatives described below, ripe for ‘innovation,’ for two good reasons. The first is the widely-shared belief that the rates market, which has been mostly range bound for several years thanks to the assortment of QE programs and lackluster economic recovery. is now anticipating a major uptick in volatility, which is a trader’s favorite friend. Secondly, the role of major investment bank trading desks, once ‘controlled’ the market for government bonds, has become severely diminished consequent to Dodd-Frank and the regulatory regime governing those banks and the financial markets at large. Here’s the opening excerpt from Katy Burne’s column “Antiquated Treasury Trade Draws Upstarts”..
A host of companies are vying to set up new electronic networks for trading U.S. Treasurys, the latest upheaval in a $12.5 trillion market already being reshaped by some large banks’ pullback and the growth of fast-trading firms. The efforts highlight the shifting role of banks, and gyrations in the market as the Federal Reserve prepares to lift interest rates in the months ahead. Currently, there are two main channels for trading Treasurys on screens. Banks trade opposite their asset manager and hedge fund clients, with identities disclosed, via either Bloomberg LP or Tradeweb Markets LLC. Interest in Buyside-Only Equity Trading Platforms Gains Traction..Again.. 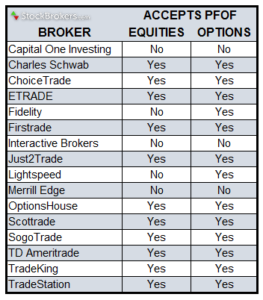 The development of buy side-owned equity trading venues has attracted interest from long-term investors. U.S.-based Luminex Analytics & Trading LLC, set to open for business this year, and Europe-based Plato Partnership Ltd. are being developed against a backdrop of increased pressure on costs, regulatory demand for best execution, recent regulatory investigations into the U.S. dark pools operated by banks, and concerns about some participants in existing dark pools. “We manage our equity exposure largely internally, and we also do the trading internally,” said Thijs Aaten, managing director, treasury and trading, at APG Asset Management, Amsterdam, Netherlands. The firm has €400 billion ($453.3 billion) in assets under management, including the €344 billion pension fund ABP, Heerlen, Netherlands. Luminex is a buy side-to-buy side trading venue owned by a consortium of nine money managers, representing a total of about $15 trillion under management: Fidelity Investments, BlackRock (BLK) Inc. (BLK), Bank of New York Mellon (BK) Corp. (BK), The Capital Group Cos. Inc., Invesco (IVZ) Ltd., J.P. Morgan Asset Management (JPM), MFS Investment Management, State Street Global Advisors and T. Rowe Price Group Inc.
Managers declined to disclose their financial commitments. Plato’s consortium includes two money managers: Deutsche Asset & Wealth Management and Norges Bank Investment Management, manager of the 6.6 trillion Norwegian kroner ($870 billion) Government Pension Fund Global, Oslo. “We believe we will be naming more firms in coming months,” said Stephen McGoldrick, project director, Plato Partnership, in London. Both venues were created to give long-only money managers and institutional investors back the power they need to fulfill their best execution requirements, and to ultimately save costs for their clients when trading large blocks of securities. He said the traditional model, where the sell side acts as a go-between for buyer and seller, and high-frequency traders are admitted, is more expensive. High-frequency traders “don’t have a fundamental view on an equity, but trade on information from the order book. Because of technological advantages they have this information before I do … in our experience, they are the most expensive type of trader to trade against,” Mr. Aaten said. 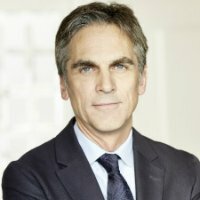 “The consortium’s goal is that Luminex will become self-sustaining, offering its clients a low-cost, fully transparent trading venue for large peer-to-peer block orders, preserving as much alpha as possible for the trading partners’ clients,” said Jeff Estella, director, global equity trading at MFS in Boston. Excess cash flow will be reinvested in Luminex, rather than making a profit for the consortium. Being designed as non-profit-making entities for the members of the consortiums is a key point in the platforms’ favor, said sources. Plato’s consortium members have goals similar to those for Luminex. “The consortium’s key aims for this project are to reduce trading costs, simplify market structure and to act as a champion for end investors — a vision which we firmly back,” said Oyvind Schanke, Oslo-based chief investment officer, asset strategies, at NBIM. Buy side and sell side Plato participants will have equal say on key decisions, and the model was developed with an eye on European regulation, said Mr. McGoldrick. The intention is to open Luminex to other long-only managers, but there are requirements. This new platform will require a commitment from users of a minimum block size of 5,000 shares or a value of $100,000, whichever is smaller, said a spokesman for Luminex. 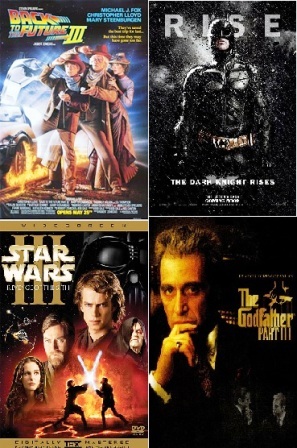 Should an order be matched, it is guaranteed to execute. Users also can increase the size of their block trade. Hedge funds that abide by the same rules are permitted on the platform, but not high-frequency traders. Still, liquidity and the likelihood of finding a match are two issues that hang over the success of Luminex and other buy side-to-buy side platforms. To continue reading the full story from P&I, please click here. One June morning in 2012, a college dropout whom securities traders call “The Russian” logged on to his computer and began trading Brent-crude futures on a London exchange from his skyscraper office in Chicago. Over six hours, Igor Oystacher ’s computer sent roughly 23,000 commands, including thousands of buy and sell orders, according to correspondence from the exchange to his clearing firm reviewed by The Wall Street Journal. But he canceled many of those orders milliseconds after placing them, the documents show, in what the exchange alleges was part of a trading practice designed to trick other investors into buying and selling at artificially high or low prices. 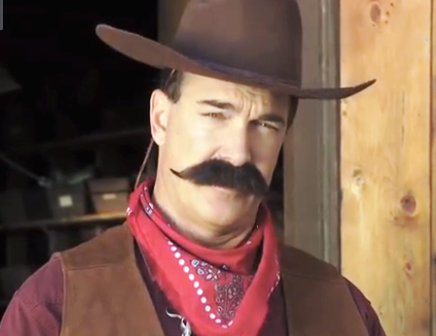 Traders call the illegal bluffing tactic “spoofing,” and they say it has long been used to manipulate prices of anything from stocks to bonds to futures. Exchanges and regulators have only recently begun clamping down. Spoofing is rapid-fire feinting, and employs the weapons of high-frequency trading, aka “HFT”. A spoofer might dupe other traders into thinking oil prices are falling, say, by offering to sell futures contracts at $45.03 a barrel when the market price is $45.05. After other sellers join in with offers at that lower price, the spoofer quickly pivots, canceling his sell order and instead buying at the $45.03 price he set with the fake bid. The spoofer, who has now bought at two cents under the true market price, can later sell at a higher price—perhaps by spoofing again, pretending to place a buy order at $45.04 but selling instead after tricking rivals to follow. Repeated many times, spoofing can produce big profits. Make no mistake, spoofing is not limited to the fast-paced world of futures contracts; high-frequency traders are notorious for spoofing and anti-spoofing tactics across listed equities, options and other electronic markets. In what has become an ongoing “trilogy-type” story straight out of Hollywood, the WSJ reports today that Fidelity Investments is set to launch yet the latest “dark pool” initiative via a consortium of and exclusively for buy-side investment managers. The announcement comes on the heels of a recently-profiled NYSE initiative [with a strategy to partner with leading investment banks that operate their own dark pools and otherwise bring back the block trade volume taking place away from the NYSE in consideration for lower fees] and a competing NASDAQ initiative that comes with a completely different pricing scheme in effort to capture market share. Dark Trading Pools: Deconstructing Market Structure? MarketMuse update courtesy of Anna Bernasek 9 January article in The New York Times. 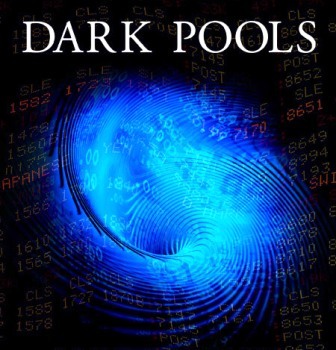 JUDGING solely by the name, stock trading in so-called dark pools may conjure up images of mysterious deals cut beyond public view. Also called simply “dark trading,” it happens when computers serve as matchmakers and bid-and-ask quotations aren’t displayed to all participants. 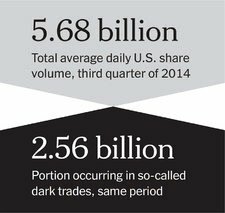 What’s surprising is just how big the dark-trading market has become. In the third quarter of 2014, the average daily volume of dark shares was 2.56 billion, accounting for 45 percent of the total average daily share volume in the United States, according to a report from the TABB Group, a financial research and advisory firm. That is up from 42 percent during the same period in 2013, according to the report. Assessing the overall impact of dark trading isn’t simple. Connecting computers with other computers might simply seem to be the height of efficiency, and no doubt it has some advantages. But while dark trading can benefit some insiders, it may cost the market as a whole. For one thing, dark trading has led to greater fragmentation of the domestic stock market, which is now made up of around 300 venues. Only 13 of these are registered exchanges, while the rest are alternative trading systems or broker-dealer platforms, according to a recent paper by Frank Hatheway, chief economist for Nasdaq; Amy Kwan, now a lecturer in finance at the University of Sydney Business School in Australia; and Hui Zheng, a senior lecturer at the same school. This fragmentation has made it more difficult for many traders to find the best prices. The paper concluded that, on balance, dark trading turns out to raise aggregate transaction costs and reduce the accuracy of prices displayed in traditional trading venues. The paper’s findings would seem to suggest that the more dark trading grows, the less meaningful public stock quotes are. And that possibility is something that all investors should be concerned about. A hedge-fund manager says an unusual culprit contributed to his firm’s demise: high-frequency traders. Rinehart Capital Partners LLC, which had been backed by hedge-fund veteran Lee Ainslie and specialized in emerging-markets stock-picking, is closing, according to a letter viewed by The Wall Street Journal. In the letter, Rinehart founder Andrew Cunagin aligned himself with those who have been critical of the rise of fast-moving traders. “This is a circus market rigged by HFT and other algorithmic traders who prey on the rational behavior of warm-blooded investors,” Mr. Cunagin wrote, referring to the high-speed traders who have attracted wide attention this year for the alleged advantages they hold over more traditional investors. For the full article from the WSJ, please click here. MarketsMuse Editor Note: Finally, the topic of payment for order flow, the questionable practice in which large brokerage firms literally sell their customers’ orders to “preferenced liquidity providers”, who in turn execute those orders by trading against those customers orders ( using arbitrage strategies that effectively guarantee a trading profit with no risk) will now be scrutinized by the U.S. Senate Permanent Subcommittee on Investigations in hearings scheduled for this morning. MarketsMuse has spotlighted this issue repeatedly over the past several years, including citing long-time trading industry veterans who have lamented (albeit anonymously) that the notion of selling customer orders is a practice that not only reeks of conflict of interest, it is an anathema to those who embrace the concept of best execution. 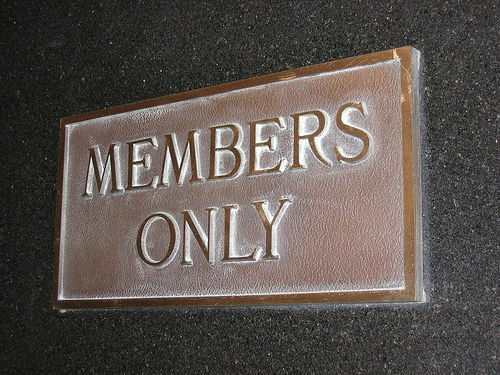 Their request for anonymity has been driven less by “not authorized to speak on behalf of the firm” and more by a common fear of “being put in the penalty box” by large retail brokerage firms who embrace the practice of double-dipping (charging a commission to a customer while also receiving a kickback from designated liquidity providers) simply because these firm deliver the bulk of orders to Wall Street trading desks for execution. NY Times reporter William Alden described the issue in a manner that is perfectly clear and simple to comprehend; whether the issue of “conflict of interest” is clear enough or simple enough for U.S. Senators to grasp is a completely different story. IEX Group Inc., an upstart trading venue that aspires to be a haven from high-frequency trading, wants to become the only stock exchange that isn’t dominated by speedy dealers. The firm is in talks with potential investors to raise millions of dollars to expand its operations and pay for the increased regulatory costs of becoming a full-fledged exchange, according to people familiar with the talks. At present, IEX is a “dark pool,” a lightly regulated, private trading venue. IEX has previously gained the backing of a number of big investment firms, such as Los Angeles-based Capital Group Cos., which manages American Funds, and has shunned investments from Wall Street banks. The latest fundraising talks, held at IEX’s New York headquarters, have involved hedge funds, private-equity groups and asset managers, according to people familiar with the talks. Controversy over high-frequency trading, fomented by Michael Lewis’ new book, highlights the conflict many chief investment officers experience over the practice. On the one hand, both pension fund executives and their external money managers are grateful that the development of electronic trading and the competitive exchanges established to serve the growing high-frequency trading segment has dramatically lowered trading costs. On the other hand, it’s maddening for many CIOs to suspect their portfolios’ returns might be harmed from front-running by high-frequency trading algorithms. A Pensions & Investments’ online reader poll conducted last week showed 51.5% of respondents believe high-frequency trading is bad for institutional portfolios, while 17.1% said it’s good. The remainder said it was neither good nor bad. Excerpt courtesy of April 15 edition of WSJ and reporters Scott Patterson and Andrew Ackerman. A fee system that is a major source of revenue for exchanges and some high-frequency trading firms is coming under the heightened scrutiny of regulators concerned that market prices are being distorted, according to top Securities and Exchange Commission officials. SEC officials, including some commissioners, are considering a trial program to curb fees and rebates they say can make trading overly complex and pose a conflict of interest for brokers handling trades on behalf of big investors such as mutual funds. At issue are “maker-taker” fee plans, which pay firms that “make” orders happen—often high-frequency trading firms that specialize in trading strategies designed to capture payments. The plans charge firms that “take” trades—typically big investment firms looking to buy or sell a chunk of stock or hedge funds making bets on short-term price swings. The trial program would eliminate maker-taker fees in a select number of stocks for a period to show how trading in those securities compares with similar stocks that keep the payment system. For the full story from WSJ, please click here. Whether in effort to placate regulators who have put high-frequency traders in their cross-hairs, or simply in effort to increase revenue via new fees, or maybe even in effort to keep competitive, NASDAQ OMX announced that effective June 1, traders on its three exchanges will be charged a fee for posting an excessive number of orders away from the inside market quoted. Market participants will be permitted to post up to 100 orders for every traded executed at no charge; beyond the 100 orders, participants will pay 1/10 of one cent (or more) per order. Nasdaq announced its new policy on its website last night, [coincidentally] hours after a similar policy was announced by competitor Direct Edge. Both exchanges have come under pressure by their members and regulators to curb the message traffic on their trading platforms. Nasdaq is only targeting orders posted outside the national best bid or offer. Direct Edge is cutting rebates. Nasdaq is levying a fee. Importantly, both exchange operators are exempting registered market makers from their new rules. Nasdaq spokesman Todd Golub says that market makers rarely post quotes outside the NBBO anyway. In fact, Nasdaq has a policy limiting the widths of dealer quotes. “The electronic market makers are not the ones putting in excessive messages away from the inside,” the exec said. HFTs Hampering Trade in ETFs? SEC Wants to Know. As reported by Reuters, U.S. securities regulators have widened their inquiry into the trillion-dollar market for exchange-traded funds, according to a person familiar with the matter. Prompted by a delay in a big trade at a popular ETF, the U.S. Securities and Exchange Commission is taking a closer look at a possible connection between high-frequency traders and hedge funds jumping in and out of ETFs, and instances where ETF trades fail to settle on time, this person said. The SEC’s inquiry is part of a wider probe that began last year and focused on complex ETFs that allow investors to magnify returns or bet against stock indexes. U.S. and UK regulators are concerned that so-called settlement fails – when trades are not completed on time – could contribute to volatility and systemic risk in financial markets. The probe’s main focus is on illiquid ETFs, but regulators are now also examining popular ETFs and failed trades, according to the person. An SEC spokesman confirmed that the agency is looking into failed trades and ETFs, but declined to elaborate. ETF industry leaders say the data on ETF trade failures does not account for the fact that market-makers, the firms that do the bulk of ETF trading, have seven days to clear trades. The data assumes that all market participants must clear in four days, and any trade that settles later is counted as a failed trade by the National Securities Clearing Corp, a trade processing subsidiary of the Depository Trust & Clearing Corp.